The author in the high country. Apart from warm nights when I go after work to fish the brown beetle rise during November, ninety percent of my fishing is done in the lakes of the South Island. Lake fishing is unique and can be seen as more difficult than river fishing. 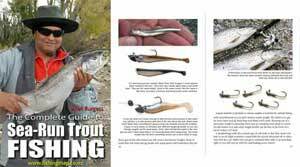 That may be so upon arriving at a new destination as most of the time trout feed below the surface out of sight, and with vast areas of water to cover, you need to learn how to read a lake. There are some basic rules I follow if you don’t know the area. 1. River and stream mouths flowing into a lake are a good place to start. These are prime feeding areas. The current brings a constant food supply which has been dislodged upstream. Take Lake Coleridge, a large area of water with three reasonable streams flowing into it, ideal places to start early morning with lures, and as the sun begins to warm the day cast a nymph across the current on a sink tip line. 2. 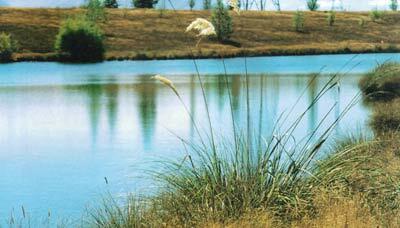 Look for areas where the trout can move from the depths, cruise the shallows and dive back into the deep for security. This may entail you having to climb up a hill to get a better look at the lake with polarized fishing glasses. 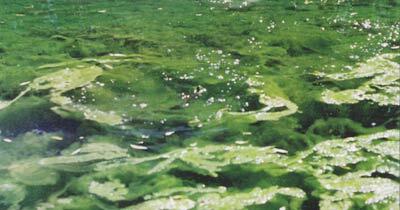 Note the colour changes close to shore. Look for light areas moving to deep blue-green. 3. Weed beds: Trout love to move about these as they hide a larder of insects, and on windy days the waves wash the insects from their cover, making them easy pickings for the trout. 4. Don’t make wading out into the lake your first option, as it not only spooks anything in close, but it seems to keep the fish out further in the lake. This was only too obvious when I visited Lake Pearson one September. We had only just set up our rods and climbed a nearby fence, and within two feet from shore was a trout on his beat. So be warned, the only fish taken that day was within a rod’s length from shore. A beautiful rainbow trout taken while lake fishing. Lake fishing I find is more exciting than fishing in rivers, and in some cases you need to be more skilful. The wash from your wading when you do decide to wade is not as easily disguised as in a river, and the wake will spook any trout in its path. On the other hand, if you have a bad cast in a river, you’ll put the fish down for hours, and miss a cast on a lake. Just wait until the fish moves on and recast into its intended path. Many times I have had a cast in November then seen a fish come into sight, but not in the path of my fly. 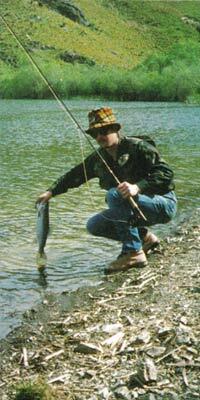 With a pull on the line before the fish enters the zone, it will move over and take the fly. Flies: You will need more flies for lake fishing, as there are insects that aren’t easily matched with any one pattern, from dragonflies, damselflies, snails, bullies, waterboatmen, caddis and mayflies, and even in one lake, I’ve seen stoneflies, not to mention beetles, cicadas, crickets and grasshoppers. So you see, there’s plenty to use and in varying sizes. Wind: How often do you let wind destroy your fishing? For an upstream fly fisher, a downstream wind is a curse, but in a lake all you need to do is walk into the wind around the lake, and fish back to your starting point. I arrived at Lake Coleridge one calm, summer’s day, but by early afternoon the wind had got up from the nor’wester, as it invariably does, so off I went for over half an hour around the lake and into the wind, turned and fished my way back I caught two fish and missed the strike on several others. You have to fish a short line to keep control as the wind blows a curve in your line. It’s not a bad idea to fish into the wind if you have the technique to cast into it, because all the insects that are blown onto the lake drift on the wind and end up at that end of the lake. Quite often you don’t need to cast far anyway. One of the things I have noticed more in North Canterbury than elsewhere is that the fish seem to rise when the sun is shining. A lake that appears to be fishless suddenly comes alive when the sun is shining and turns off like a tap when it goes behind a cloud. Sunlight is also helpful when spotting fish and looking for different water depths. Trout love to move about weed beds as they hide a larder of insects. Willows and scrub close to shore are hard to fish, but a well practised roll cast will get a line out far enough as these fish cruise close in, picking off the flies as they go. A lesson I find hard to take is that in a lake the fish move, you don’t. If you find the right spot and the fish are cruising, stay out of sight. You will fish to enough fish to fill in your day. I like to walk and believe the more area I cover the better my chances are. Sometimes this proves true, and I usually sleep well that night. My high country opening is usually spent at the mouth of the Harper River, and apart from moving a few paces; I fish from 5 am until lunchtime. You can take fish early, or later in the morning. The tackle I use is a 9ft 6in rod to take a 7wt line, in which I have a floating line and a sink tip, type II sinking. I usually start off with a type III, and it’s a 9wt. I use two lures, both Black Petes, and change to Mrs Simpson about nine o’clock. If the line ticks along the bottom I change to a type ll. After lunch, I’ll put on a floating line and fish across the bay with a flashback nymph. It’s a searching pattern, just general, and rainbows love it. If I’m going walkabout I use a 9′ 6wt, as it is light and presents a good accurate cast. Some of the smallest flies you will ever use will be on a lake, as midges are a staple diet and the most important stage is the hatching pupa, fished just under the surface mostly used in size 20 with a fine tippet so that it hangs right. Have a look on any lake surface and you will see hundreds of empty shucks. Look for areas where the trout can dive back into the deep for security. Snails are great fished on windy days, as they get dislodged from vegetation and a Black and Peacock is a good imitation. Dragonflies and Damselflies are our best-known flies for lake fishing, and I use a Creedon’s Creeper and my Wiggle nymph fished on a long leader for these patterns. Dry Flies: There are three that I use. The number one is the Love’s Lure tied in sizes 10 and 12, along with the Black Gnat. You could do very well with just these, but a Humpy Blowfly is one that has done well in lakes and rivers, so I carry a few anyway. We can always learn some tricks now and then and I normally don’t add any weight to my lake flies, but on our winter trip to Lake Pearson Nigel was using a weighted Dragonfly nymph and it sank like a stone and when twitched, kicked a little mud and that seemed to turn the fish on. He caught a nice fish and lost on one, as he didn’t see the take. North Canterbury is blessed with some very nice lakes and they are all different, some small and raupo lined (be careful, you can disappear very quickly), to big open lakes with some tarns that are worth a look. Once you know how to ‘read’ specific clues, you can open a whole world of fishing. Tight lines – John Hey.